SEATTLE, Wash. – T.J. Horsager joined APiJET as the vice president of business development and sales today. The software-based, onboard, real-time, automated data analytics service is a joint venture between Aviation Partners and iJet Technologies established this past January. Today is Horsager’s first day. Horsager brings more than 20 years’ experience to his role. 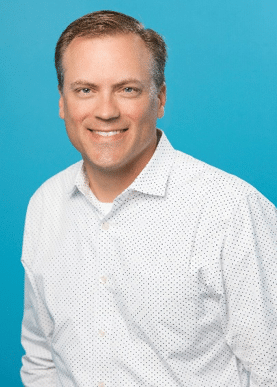 He previously served as director of connected aircraft and IoT Solutions at Gogo, where he directly worked with airlines and industry partners seeking to use Gogo’s platform for connections in both cabin and cockpit. Earlier positions include business development for cockpit data management and electronic flight bag (EFB) systems for United Technologies, EFB system project engineer for Goodrich Sensor Systems, and fleet and flight technical director for Sun Country Airlines. He attended North Dakota State University. APiJET offers improved operational efficiency by creating Smart Aircraft™ that support smart flight and ground operations as well as line and heavy maintenance in real-time, anywhere in the world. Launch customer, Icelandair, has fully deployed APiJET’s analytics service across its entire fleet of Boeing 757-200s, 757-300s and 767-300ERs. It will be on the airline’s new 737 MAX when it enters service this year.